TRI-CITY AREA — The Four County Community Foundation (FCCF) Board has unanimously selected Kathy Dickens to serve as the organization’s new executive director. 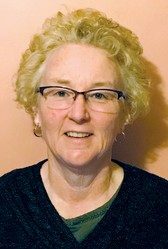 Dickens, who has been employed 26 years as a principal/counselor/student services director with Elkton-Pigeon-Bay Port Laker Schools, accepted the position on March 6, following an extensive search and interview process. She succeeds Janet Bauer, who will resign April 1, following 20 years as the Four County Community Foundation’s president and CEO. Four County Community Foundation board chairman Jason Verlinde, said the Board received more than 100 applications for the full-time position; out of which a search committee narrowed the original list down to six top candidates, and then two finalists. To accommodate Dickens’ hiring, Verlinde said she will initially split her time between the FCCF office in Almont, and her principal’s duties in Elkton-Pigeon-Bay Port. He said Dickens is expected to work twenty hours per week until the end of the 2018-2019 school year in mid-June. Verlinde added that Bauer has agreed to work part time at the FCCF office to help ensure the smoothest possible transition for her successor.  On Monday, Dickens expressed her appreciation to the Four County Community Foundation board for the opportunity to lead the Foundation into the future. “My career in education has allowed me to serve students at all grade levels,” said Dickens. “I have absolutely loved that work. What attracts me to work for a community foundation is that I can serve not only students, but people of all ages and all walks of life,” she continued. “I am so eager to get to know and serve the wonderful people in the FCCF region. She has written grants and been awarded hundreds of thousands of dollars in grant funding over the years, including from: Michigan Public Service Commission; Department of Education Climate Transformation; Environmental Protection Agency; Department of Justice Stop Violence; Thumb Works; and SAMSHS Mental Health and Good Behavior; among others. Dickens lists the following among the personal honors bestowed on her during her career: Elkton Citizen of the Year Award (2016); FFA Friend of Youth (2007); Michigan ASCD/MEMSPA Whole Child Award to Laker Elementary School (2018); Thumb Industries Volunteer of the Year (2011); and Michigan School Counselor Association’s “Heart of Gold Award” in 2004.